The week we were working in the south of the country so managed to avoid all of the bad weather that our home county of Cumbria suffered. 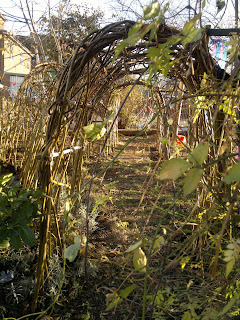 we worked at Graveley Primary School near Stevenage for one day. the weather was sunny but cold and very windy. 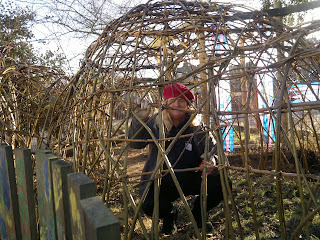 the children helped to create a large living willow dome and had great fun making the planting holes and selecting the willow. we stayed in a nice Travelodge nearby. 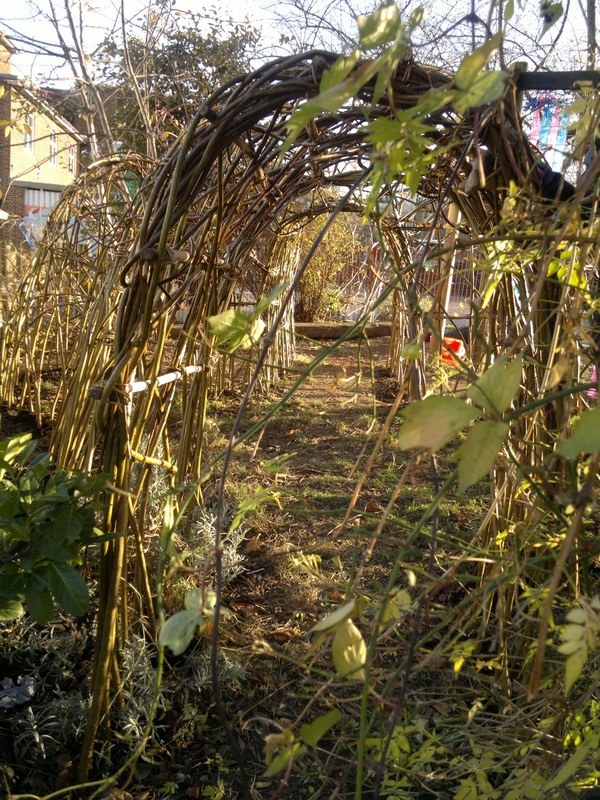 on thursday we started work at Tyssen Community Primary School in Hackney, London. 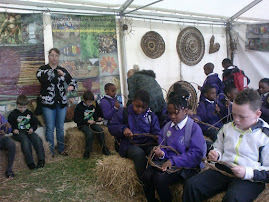 we first met the school when a class came to the Countryside Live event in Lea Valley Park. 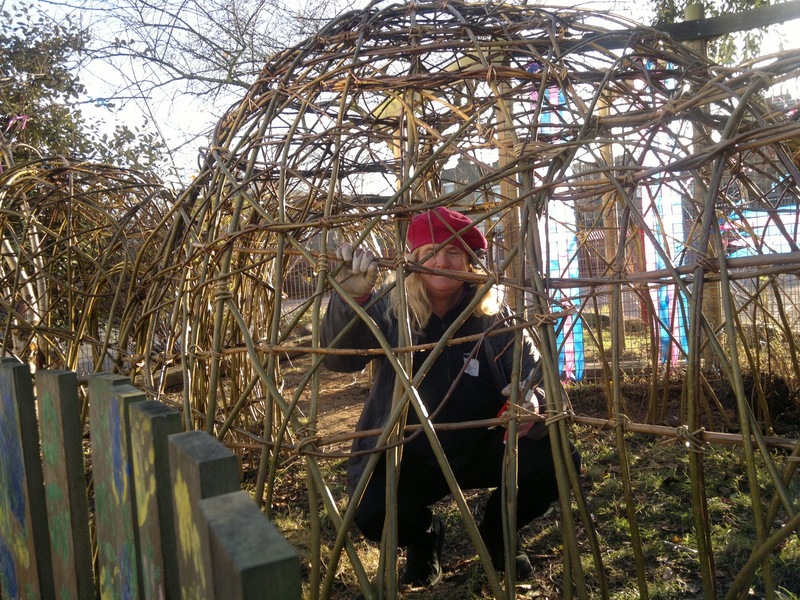 the site was in the nursery garden in a tight space so we designed a lovely small dome with tunnels to fit in with the existing layout of the garden. the ground was bone hard and required a hammer and bar to make planting holes. 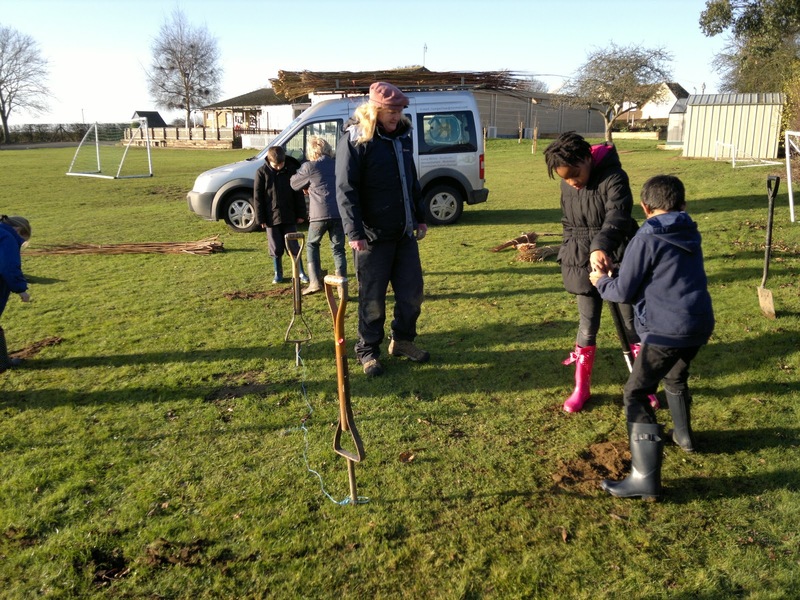 the children got involved by helping to plant the willow rods. because of the hard dry ground the children will have great fun watering in the newly planted play structure. simone made stars for each child as christmas presents.